Sang Khyi or Do Khyi ? Which exactly a Do Khyi (Tibetan tying up dog) is, over it there are many written and also verbal excessive quantities, just as also pictures and early photography. Now and then one can in addition, to hear of the ideal picture in the breed Sang Khyi. If one believed the descriptions first, antique and to medieval travellers so the dog would have to be nevertheless many more imposing and more powerful than it is today before us. 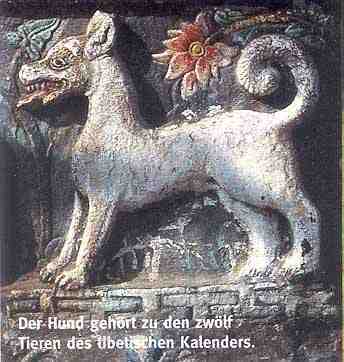 The first European viewers were almost disappointed of the small body height, one had thought of these dogs much more largely and more like a mastiff. 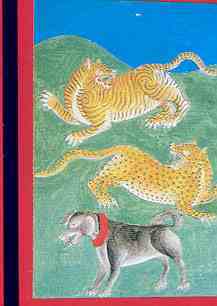 From Tibet does not give it only to narrations, photo documents over Sang Khyi (Tibetan good dog). It is quite conceivable that there were copies in purebred, which the step to the mastiff-like size stature indicated. Perhaps these copies were also more directly, purely bred as others, than reputation object of the aristocracy, to the protection alone these property. So far still no interesting a correct Sang Khyi has seen anyhow, therefore it is with difficulty to be wanted to reconstruct these. Thus further the question remains inexplicably which exact the Sang Khyi after Tibetan conceptions is. Perhaps does succeed carrying out a daily alone from that available potential of the breed the legendary descriptions from passed times, should not are lost however as at so many “large breeds” the health and vitality of the Do Khyi.